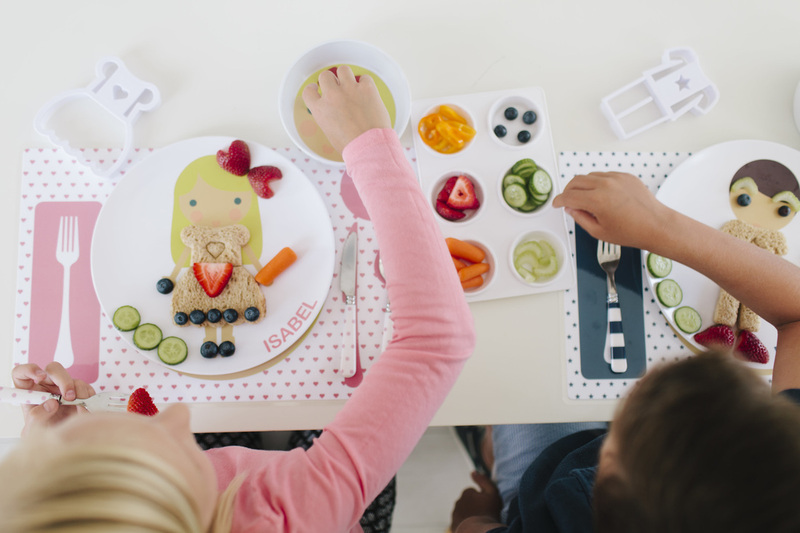 My plates with a miniature child or animal and matching clothing cutter have been a huge success in getting my little ones excited about eating healthy. Coming home from school for an afternoon snack, my children cannot be grumpy being greeted by a strawberry tutu or carrot pants on a miniature version of themselves. I love to watch their creativity at work, two banana buttons become earrings, an earring is eaten and the other becomes a nose. 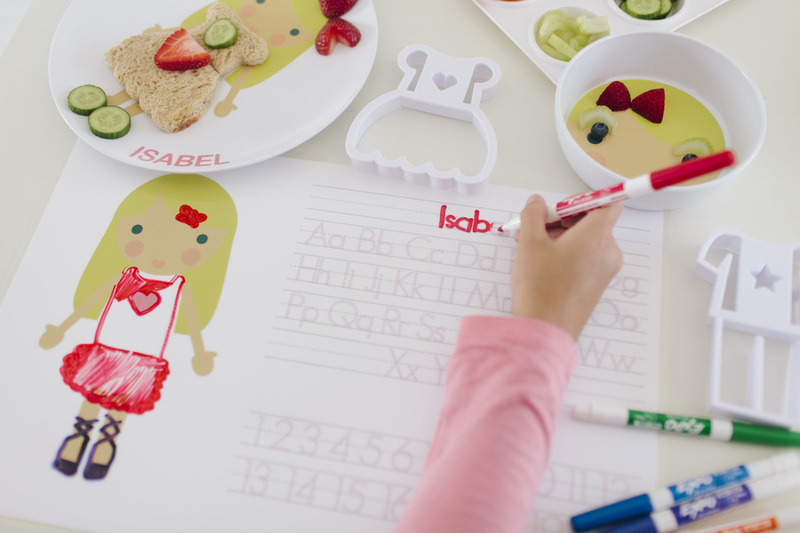 There is nothing better than hearing, “Mom, can I have more raspberries to make shoes?” With the clothing cutters my children can easily cut out a watermelon dress or a sandwich shirt and pants, perfectly sized for the their plate. 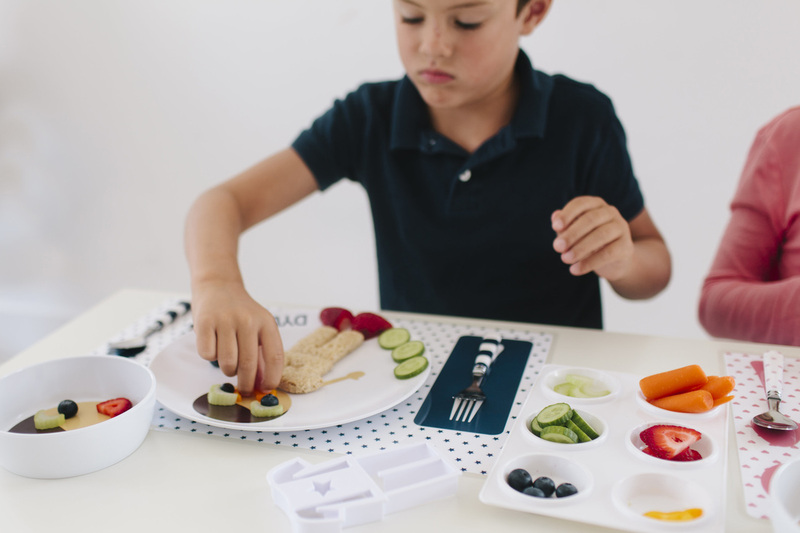 My goal is to make healthy food fun for my kids and yours.